Requires remote monitoring of the system and conditions inside the cables. 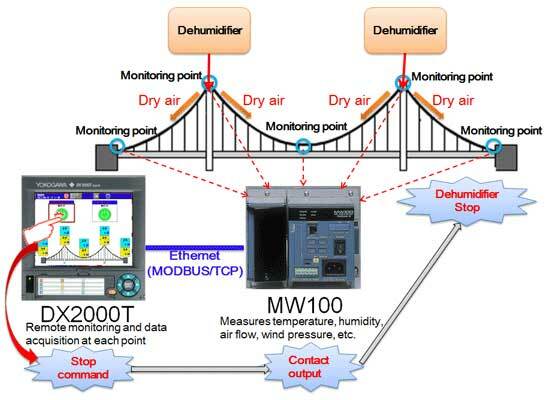 The MW100 measures temperature, humidity, air flow, wind pressure, and other parameters at various points. The MW100 has a wide operating temperature range (-20 to 60°C) offering reliability in harsh environments. The DX2000T aggregates all of the data from the MW100 for remote monitoring and data acquisition. Using customizable touch screens on the DX2000T, you can manually stop the system via the MW100.